My students love reading biographies. Usually, they ask for a biography on a sports star or music performer. They might ask for a biography of someone they learned about in class. And for some reason, they all want to read biographies on Michael Jackson! It can be tough keeping current biographies on the library shelves. Biographies can be expensive and they are outdated as soon as they are printed. Also when it comes to current biographies it's very possible that students won't want to read about the person two years from now. So it can be hard to justify the purchase. When choosing biographies I like to stay with the same series for several reasons. I have already determined that the series meets my needs. I know the format of the books in the series. For example, I know what kinds of text features are in the book and whether the book has an index or glossary. I know the reading level and interest level. Also, it can be easier for students to see what books belong in the series and find them on the bookshelf. Below is a list of my favorite biography series for both primary and upper elementary. I have purchased many series from Picture Window Books and have been very happy with every purchase. Their biographies are no exception. They have several different series within their biography section. The Leaders Doing Headstands series talks about the childhood of famous people. Two of my favorites are When Martin Luther King Jr. Wore Roller Skates and When Amelia Earhart Built a Roller Coaster. These books are mostly used as read alouds. My first-grade teachers check them out frequently. Abdo Publishing has many biography sets in their catalog. They are very simple and provide the basic facts about the person they are about. They work very well for simple reports or research. For current biographies, I like the sets published by Bearport Press. They include pop and country music stars, sports athletes and actors. I think they are geared more towards second and third grade. There are more choices for biographies for grades 3-5, especially with more high/low books being published (high interest, low reading level). There are also quite a few graphic novel biographies as well. I first noticed this series many years ago in the Scholastic Book Fair. This is one of the best biography series I have seen. Students are drawn to the covers that show the person with a large head and funny expressions. 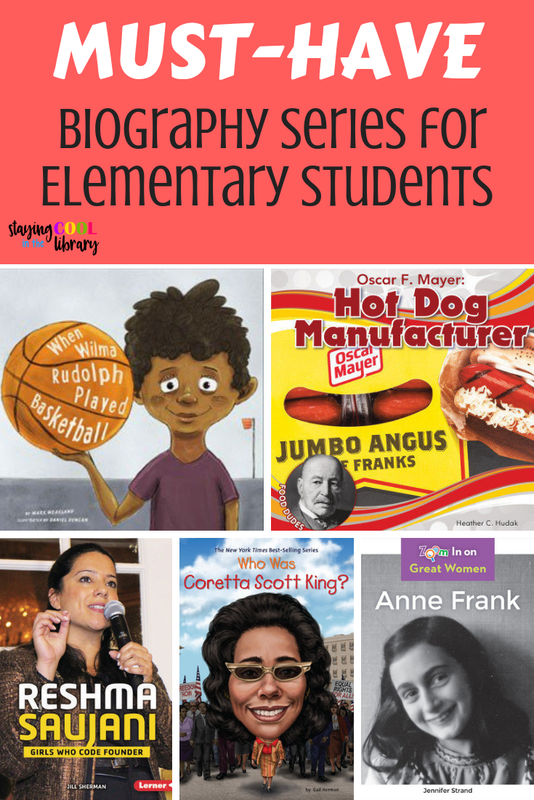 These biographies are on a slightly higher reading level but still appropriate for upper elementary. They include historical figures and current entertainers and politicians. There are quite a variety of biographies in this series which is why I put it on this list. 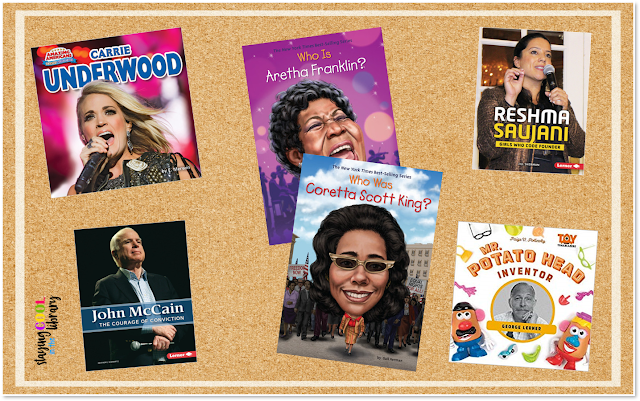 These include Food Dude Biographies (Ben & Jerry and Colonel Sanders for example) and First in Fashion Biographies (Levi Strauss and Sam Foster Sunglasses Success). Remember, this is just a few of the series that I think are worthwhile purchases. What series are your must-haves? Leave a comment and let us know. 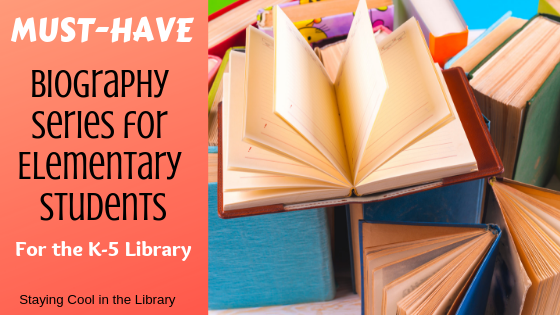 Looking for a way for your students to complete a biography research project? 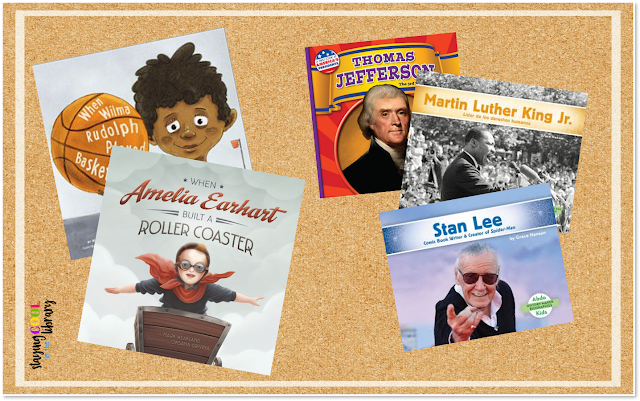 Read my blog post about my print and digital biography templates. These are easy to adapt to use with various grade levels and abilities and come with plenty of options. You can also purchase them from my website or my TpT store.